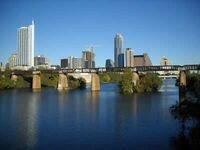 City of Austin - the capital of Texas. At the moment in the metropolitan Austin-Round Rock is one IKEA store. The IKEA store is located in Round Rock, which in turn is in 30 km from Austin.